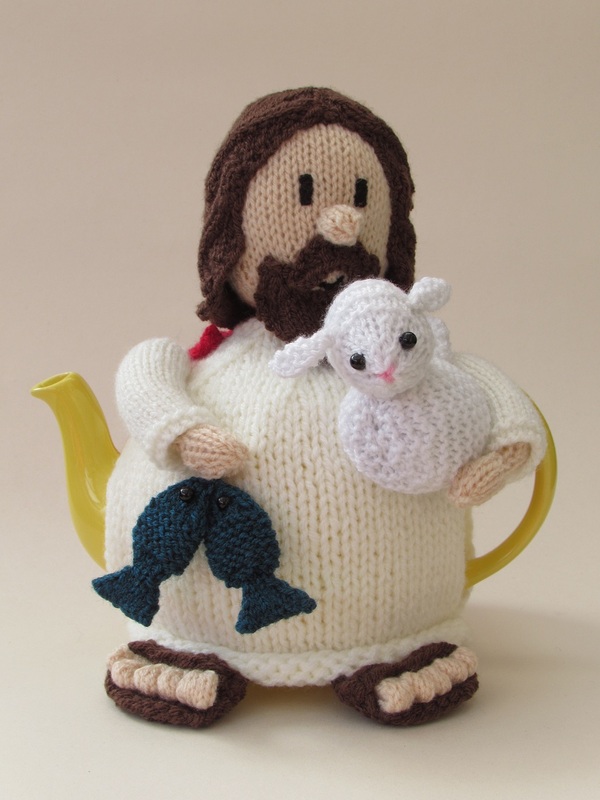 The Jesus tea cosy is a depiction of Christ as a tea cosy. 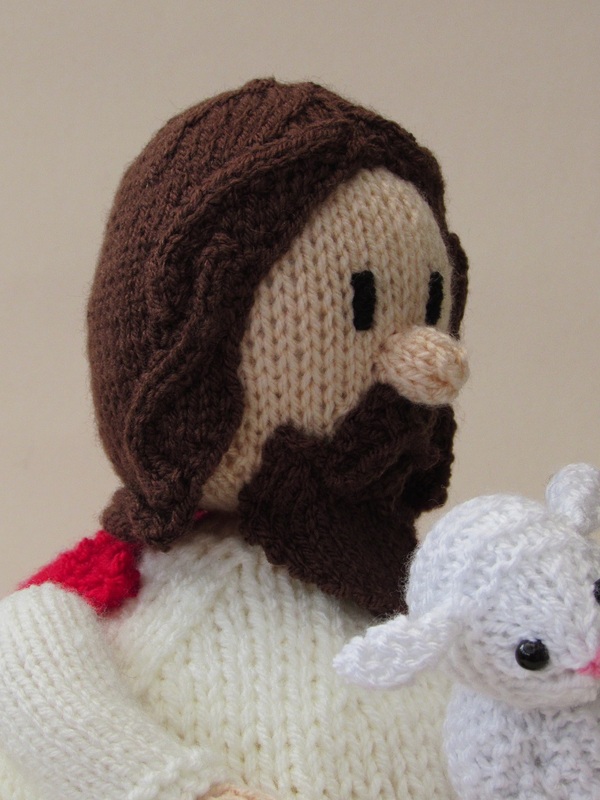 Jesus is wearing the red robe that the Romans gave to him when he carried his cross, a symbol of sacrifice. 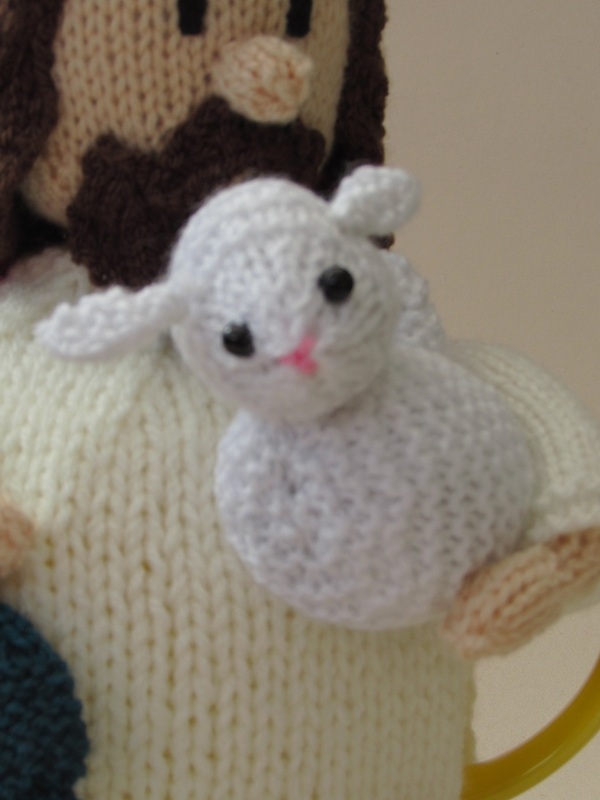 He is caring a lamb, because he is the shepherd who leads the children to god. 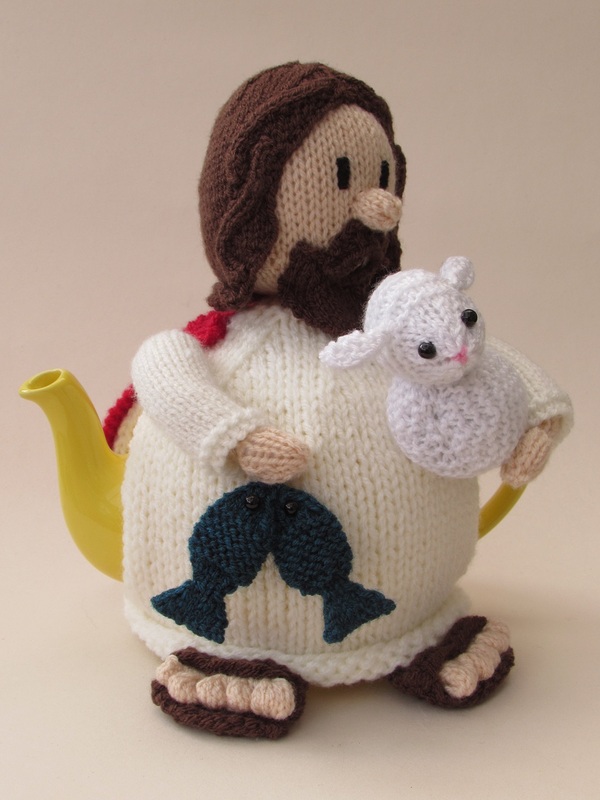 And in his other hand he is holding two Christian fish. 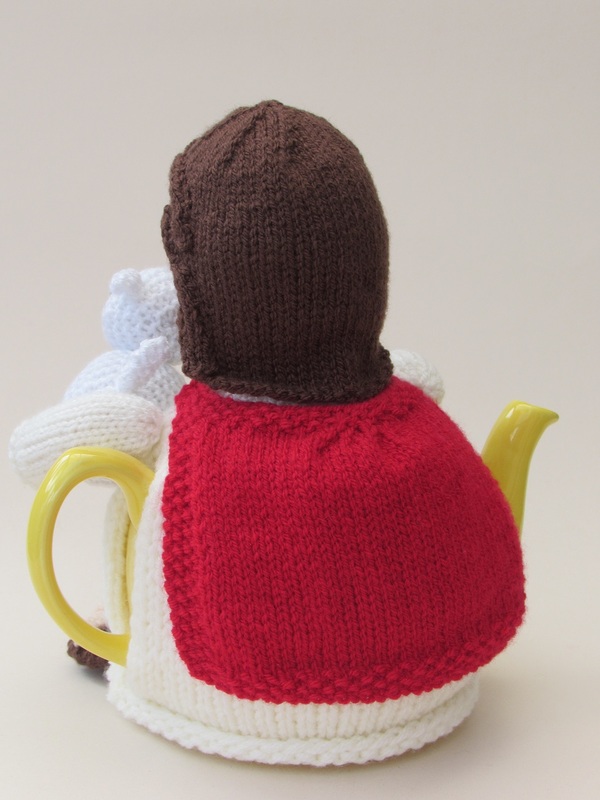 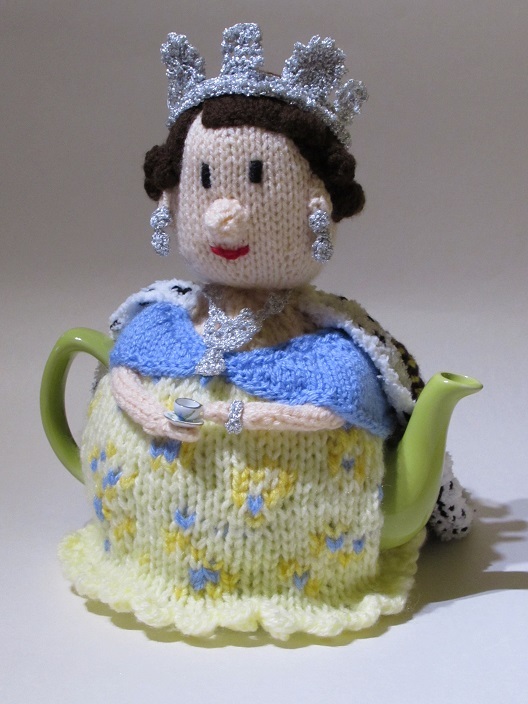 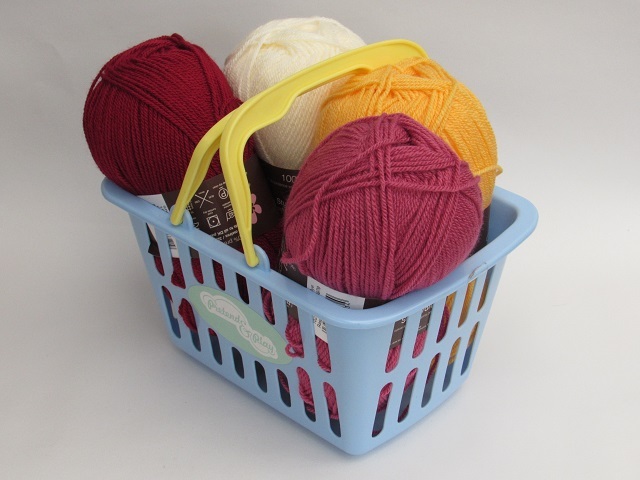 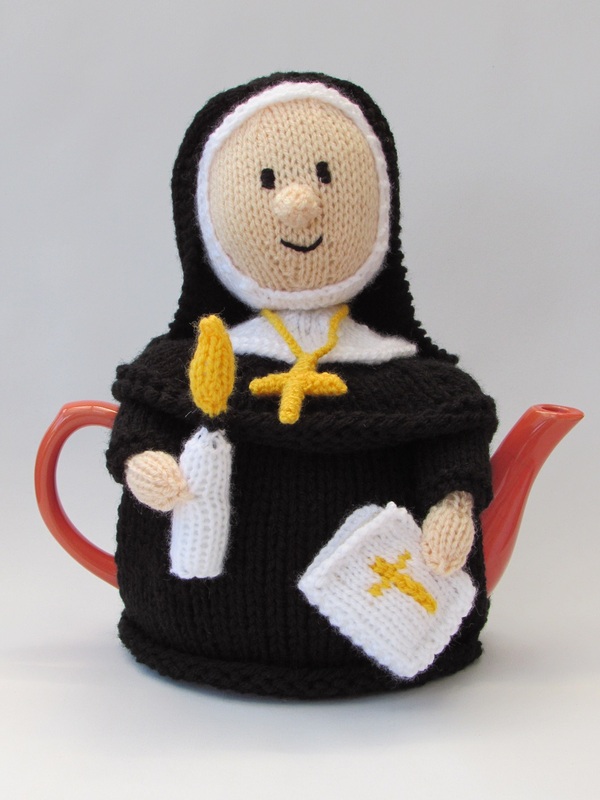 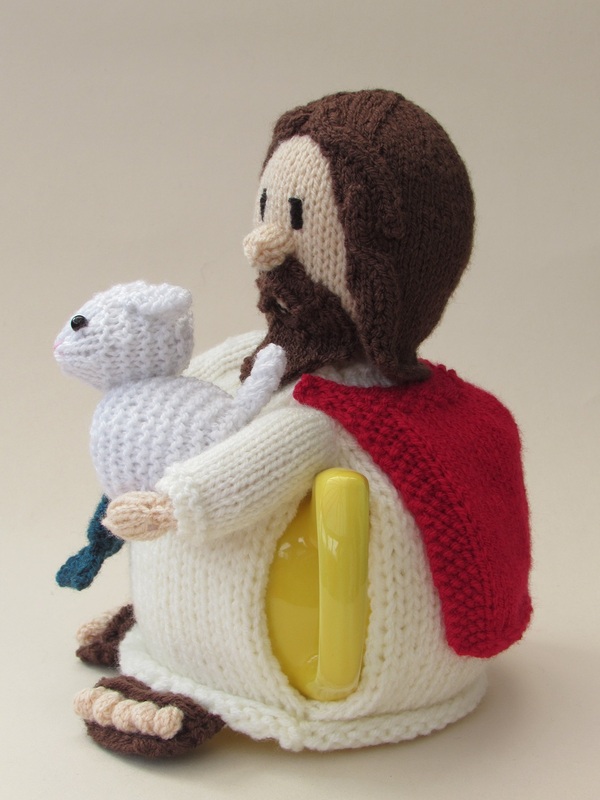 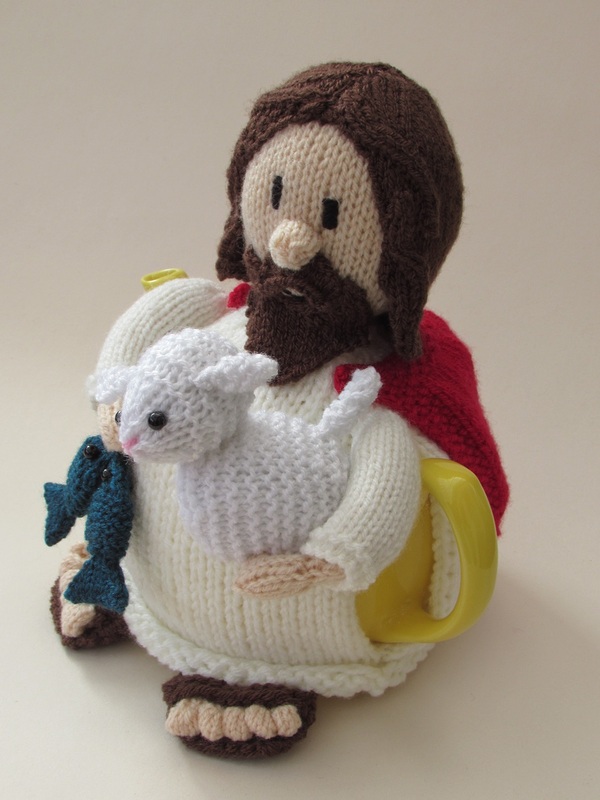 The Jesus tea cosy is knitted in cream which shows off the bright red of the robe and the dark green of the fish. 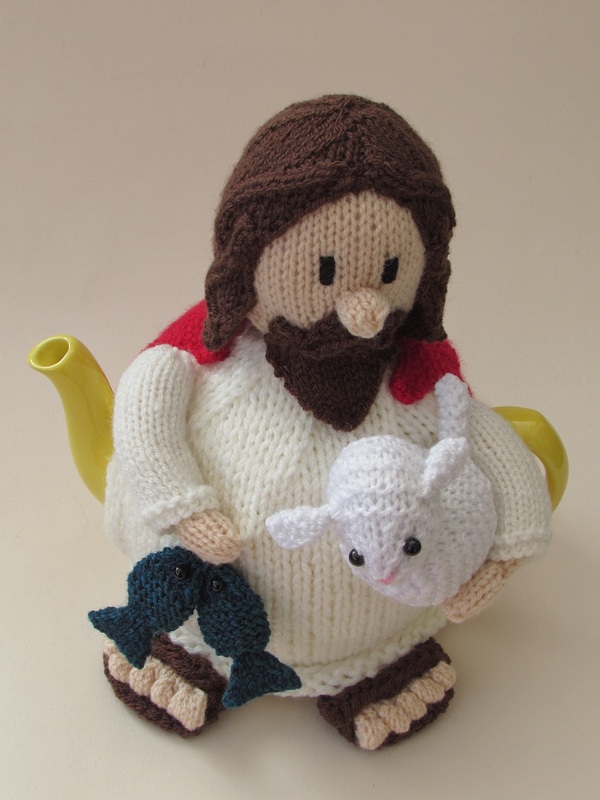 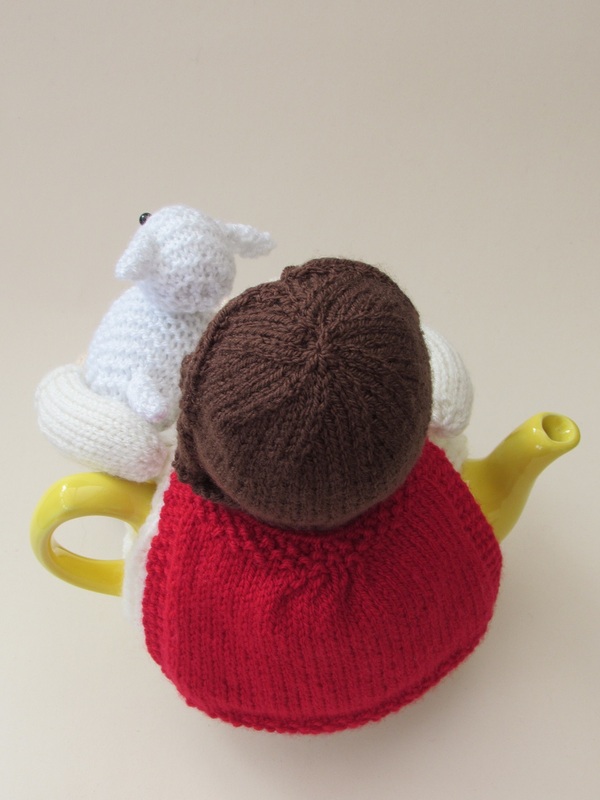 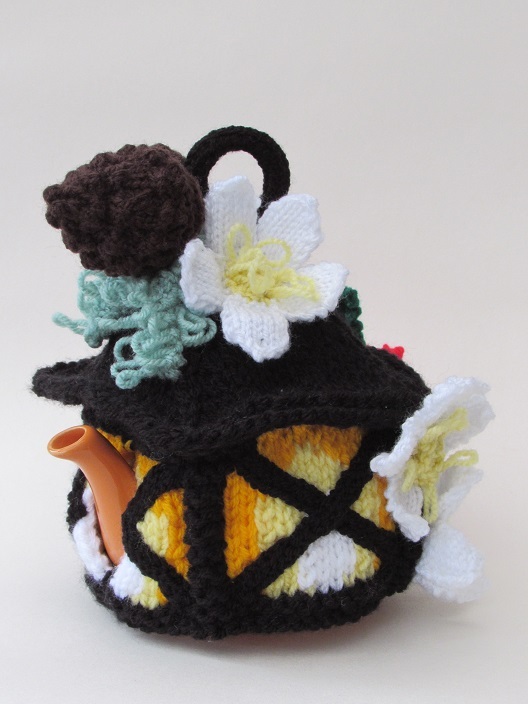 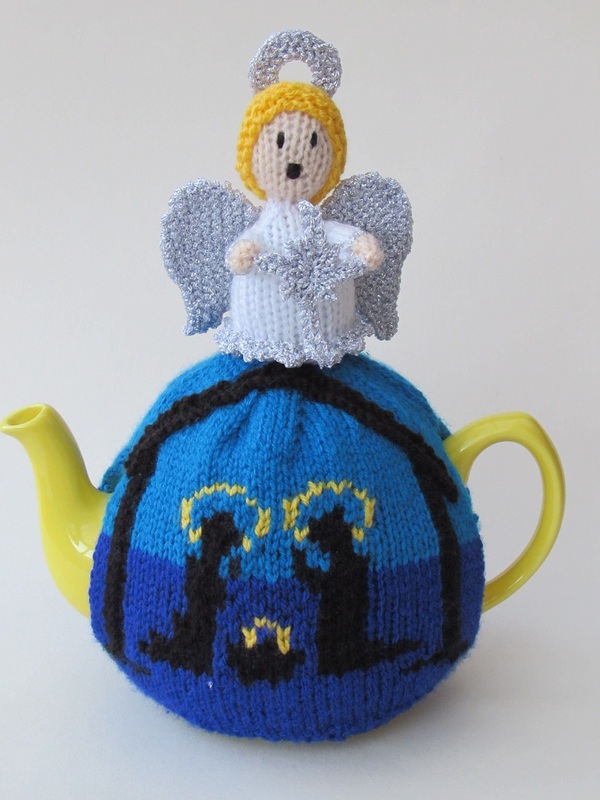 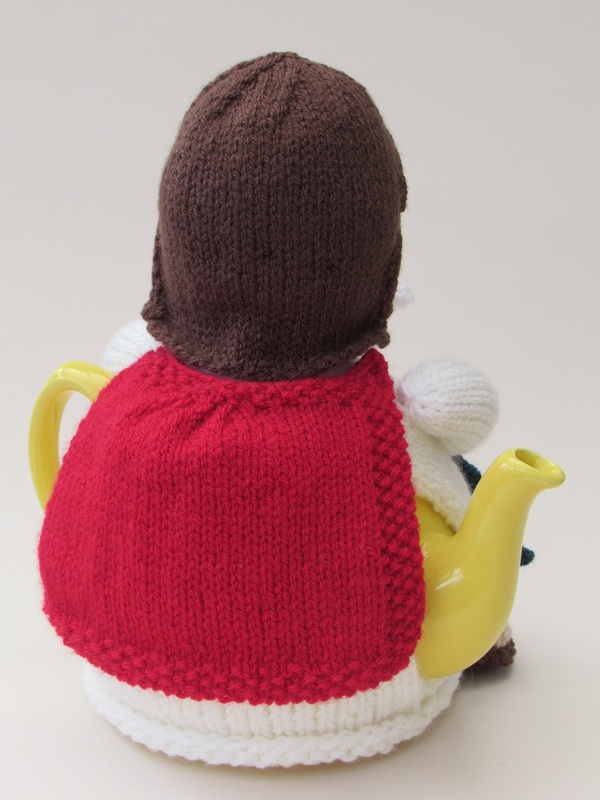 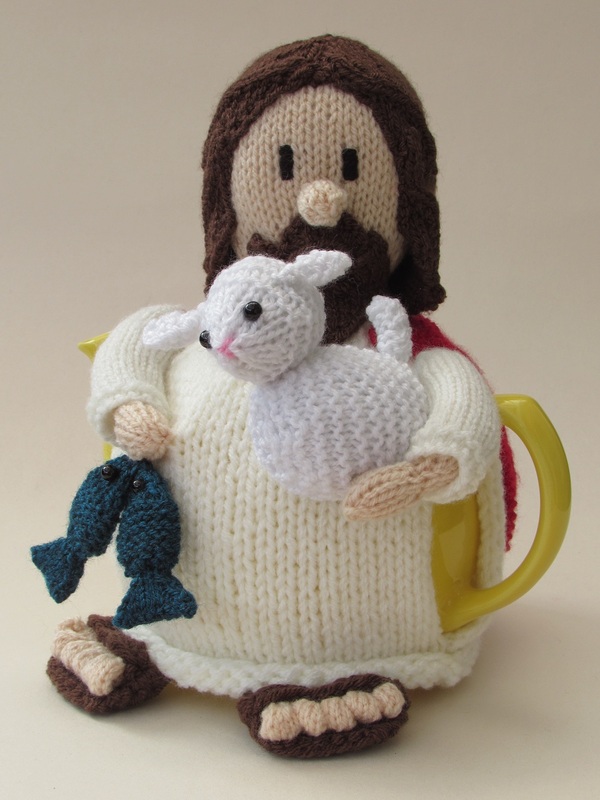 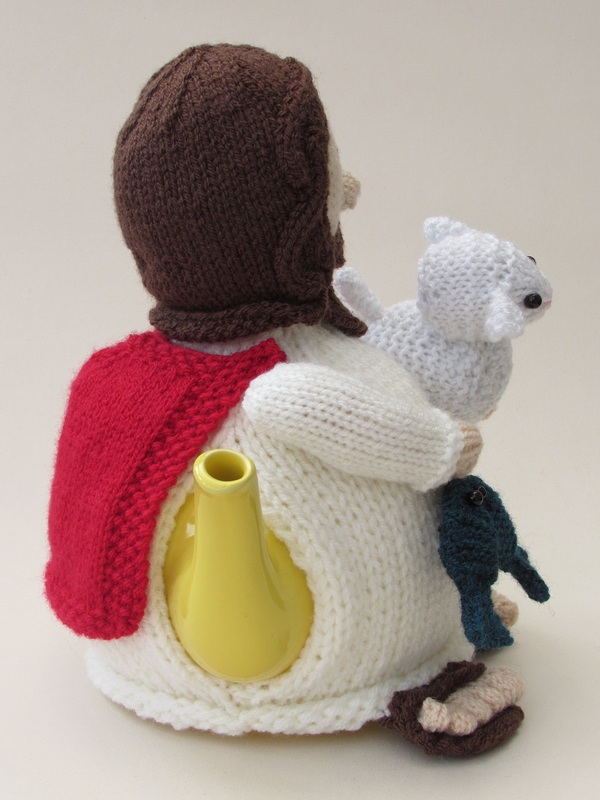 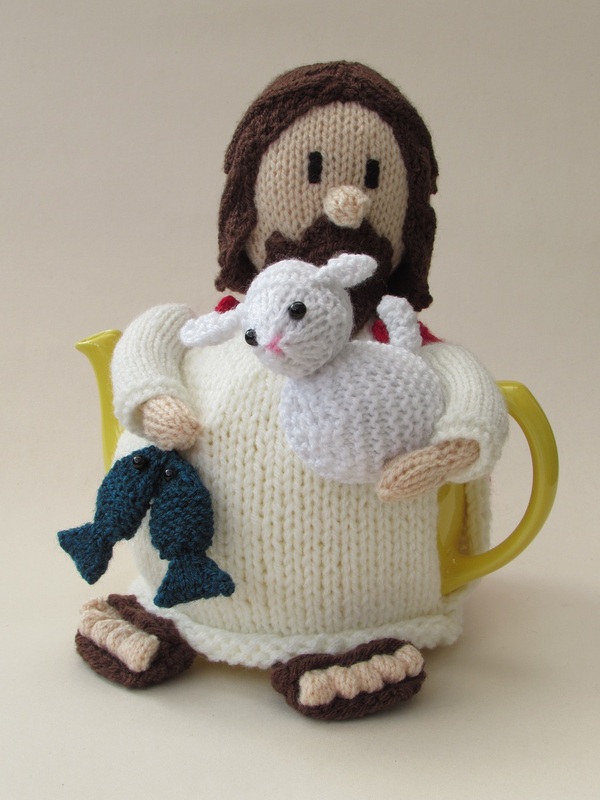 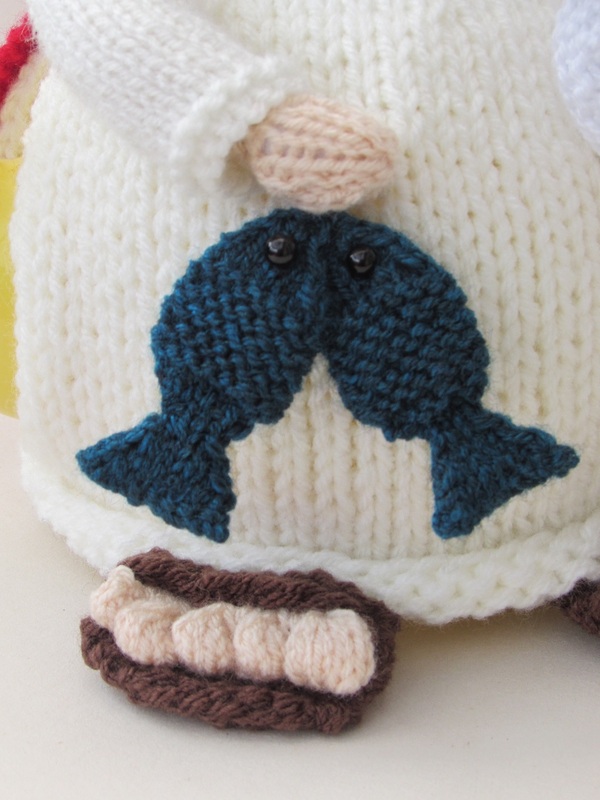 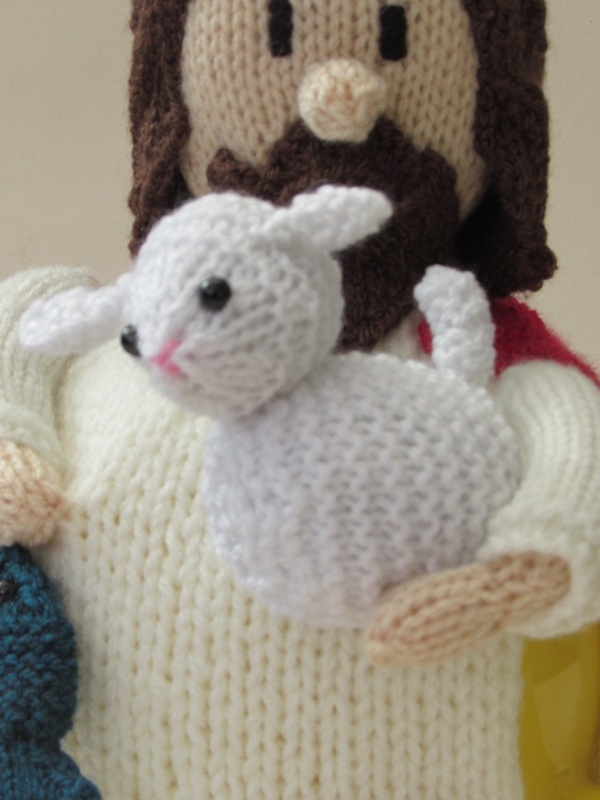 I was thinking about an Easter tea cosy when I designed the Jesus tea cosy, there are lots of Easter bunnies and chick tea cosies, but none celebrating in the religious side of Easter.